Less time, lower costs, better results. Let us streamline your process. We start with in-depth plant analysis and time-motion studies to identify process bottlenecks. Then, we work closely with our customers to design and introduce more efficient, ergonomic application tools that deliver greater operational efficiency, cost savings, and product quality. 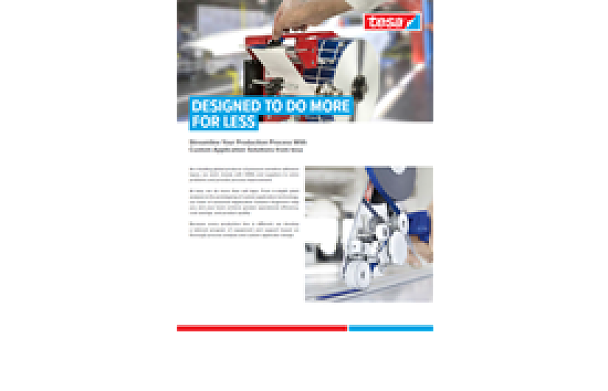 Whether we’re providing custom handheld tape applicators that cut process time or prototyping a custom piece of automated equipment that fits seamlessly into your existing production line, we do whatever it takes to help you build higher quality vehicles – for less.